For all Primary Design and Technology subject leaders/co-ordinators. It provides a comprehensive set of materials addressing all the major aspects which subject leaders are expected to address in their work. 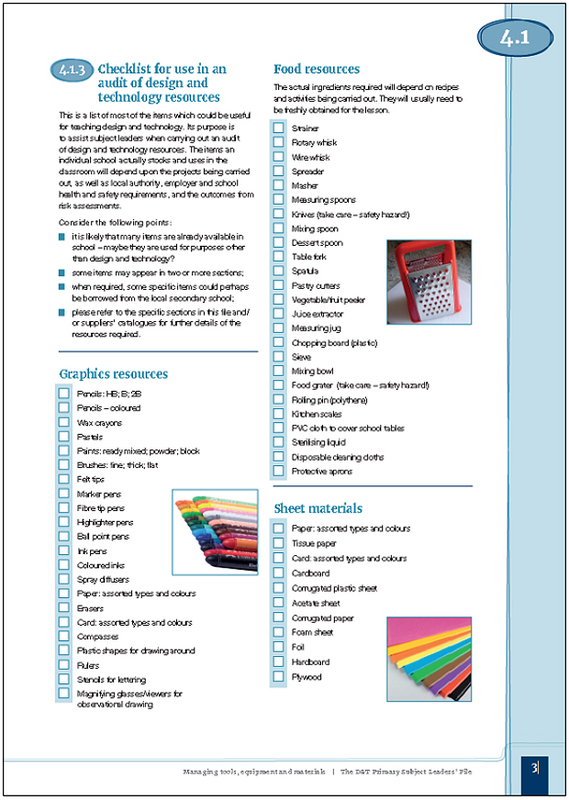 The file has been fully revised and updated from the 2007 version which proved very popular with primary schools. 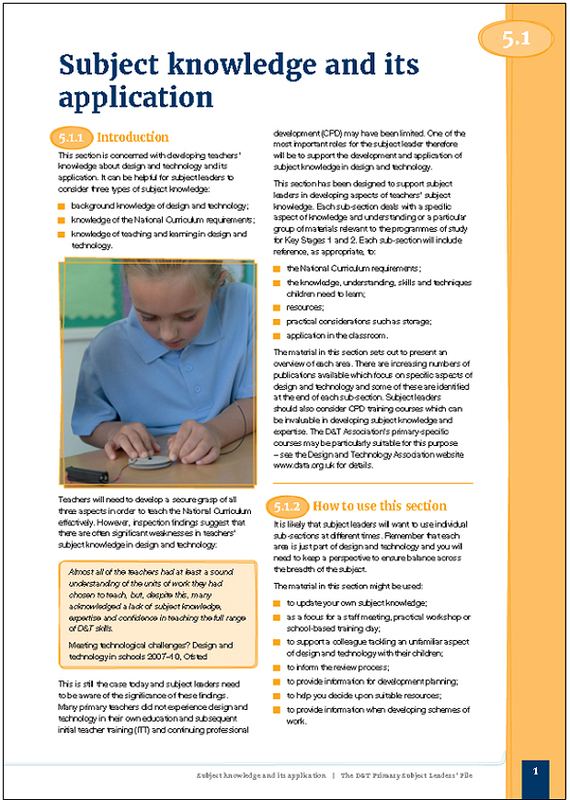 It now includes up-to-date information on the requirements of the 2014 National Curriculum for Design and Technology and the Statutory Framework for the Early Years Foundation Stage (EYFS). 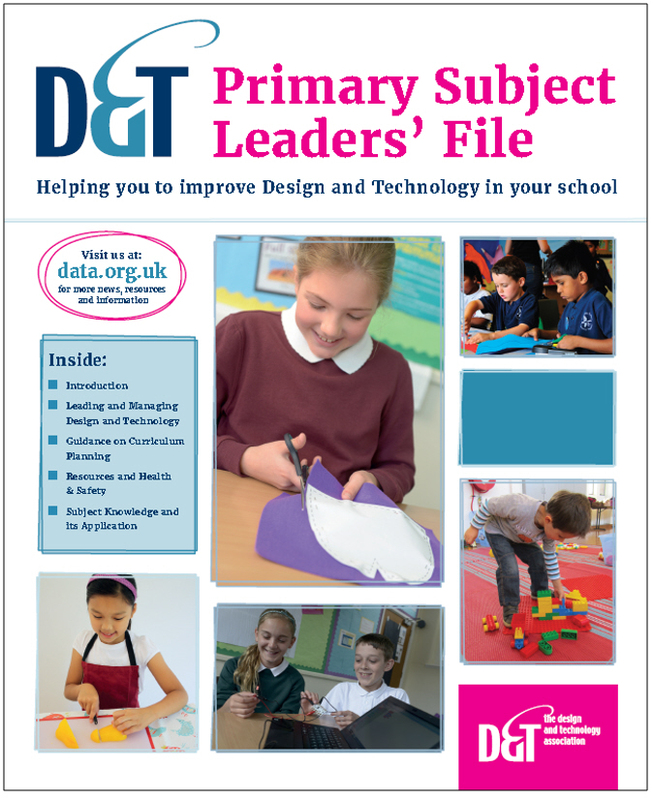 This file is one of a range of publications and guidance developed by the D&T Association to help teachers in primary schools. In particular, it complements the Association’s Projects on a Page primary scheme of work, and is consistent with the range of freely available National Curriculum guidance published on the Association’s website. When used with these publications and guidance it provides most, if not all, of the basic written material subject leaders require to carry out the role. The notes in the file have been designed for very busy primary teachers, who may have limited training in design and technology and do not consider themselves to be ‘expert’ in the subject. It is also intended as a useful point of reference for more experienced subject leaders who want to bring their D&T knowledge up-to-date and get to grips with the latest developments in the subject. The overall aim is to improve the quality of teaching and learning in D&T in order to maximise children’s progress in the subject, as well as developing teachers’, governors’ and parents’ understanding of design and technology. This item is not for sale using curriculum credits.